Parents think they're doing the right thing but they're not. 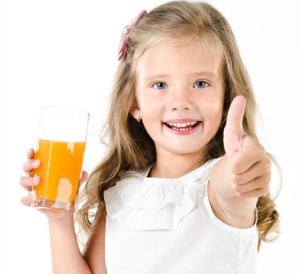 Findings from a study conducted by the Rudd Center for Food Policy and Obesity at the University of Connecticut show that parents are confused by marketing efforts that make them believe sugary beverages like fruit juice and energy drinks are actually healthy for their kids. “The labeling and marketing for these products imply that they are nutritious, and these misperceptions may explain why so many parents buy them,” said Jennifer Harris, the study’s author and the director of marketing initiatives at the Rudd Center. Of course, the American Beverage Association isn’t happy about the study. “This is just the latest report coming out of an institution with a long history of bashing beverages, and it undermines parents’ ability to make decisions themselves,” said Christopher Gindlesperger, senior director of public affairs for the ABA in a statement emailed to USA Today. He maintains that the packaging is clear, at or above government standard. And “there’s nothing wrong with having a sports drink or a soda or a juice drink — it’s about moderation and balance,” Gindlesperger said. The statement is very defensive and basically ignores what the findings are saying. Even armed with this packaging information, parents think giving their kids lots of these drinks is as healthy as giving them fruits and veggies. Nearly all, 96 percent, of the parents surveyed said they gave their kids a sugary drink in the past month. And nearly half said flavored waters are healthy. Words like “real”and “natural” and claims that drinks contain vitamins or were low in calories were enough to make some parents feel they were doing the right thing. So the first step is to define these terms. Just like some of the words that appear on food labeling — “organic” vs “GMO free” for instance — customers need to have the basic information to determine what each of these mean. The lack of clarity is what’s driving parents to make the wrong decision. Once a parent has that information, then they can, as Gindlesperger says, make their own decisions and approve these drinks in moderation for their kids. If the industry and the ABA know that customers are misunderstanding the labels and they continue on this same track, they’re being purposely ambiguous and lacking in integrity.